A cream for the care of mixed, oily skin prone to acne, also for teenagers. For use during the night during and following a series of exfoliating treatments. 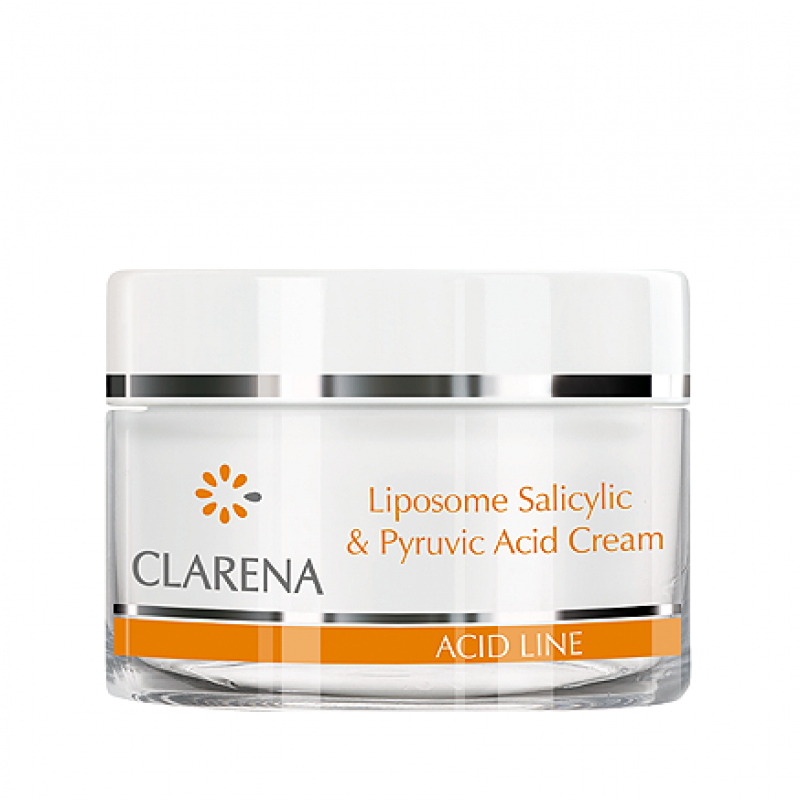 The closure of Salycilic Acid in liposomes guarantees its 100% activity during application. Salicylic and Pyruvic acid normalize sebum secretion, narrow skin pores and reduce the number of comedons. Azelaic acid strengthens capillary walls and prevent the formation of telangiectasias.